The climbing area is based on the 4th floor of this building. So just go through the shop entrance, then keep left to reach the stairs or elevators to get there. 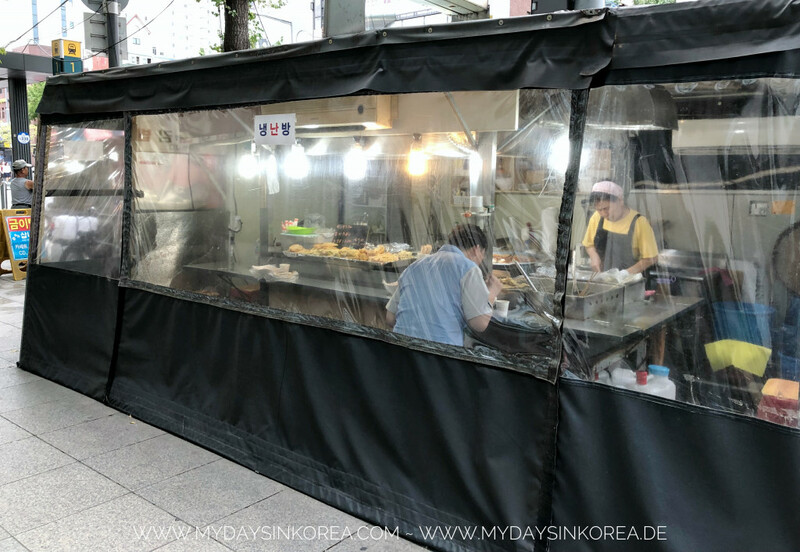 It’s a busy area with a lot of shops and food tents on the street, in case you’re hungry. Once you reach the 4th floor, the reception is on your right. You need to register and pay for the day pass here. 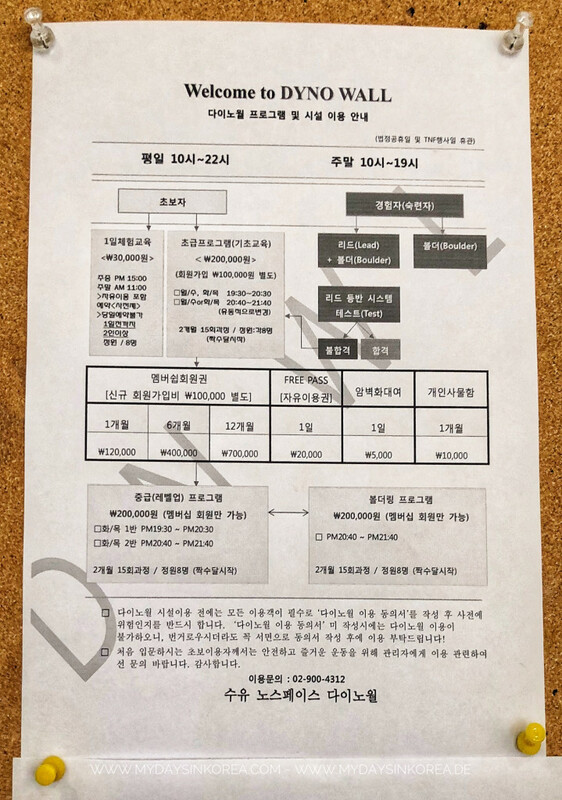 A day pass would cost you 20.000₩ (~16€) for climbing and bouldering, monthly 120.000₩, for 6-month 400.000₩ and one-year-pass 700.000₩. Some tables, chairs, a water dispenser and a refrigerator are available right next to the reception desk, where you can have a rest. On the wall, you will see many portraits of TNF team members. And all of them are climbing experts! With a lot of national or international awards! I’ve seen some of them on the Spider Hangang Championship 2018 in last May as well. Awesome! If you come here, don’t forget to bring a pen and something to sign on to get their signatures, because you may run into them. 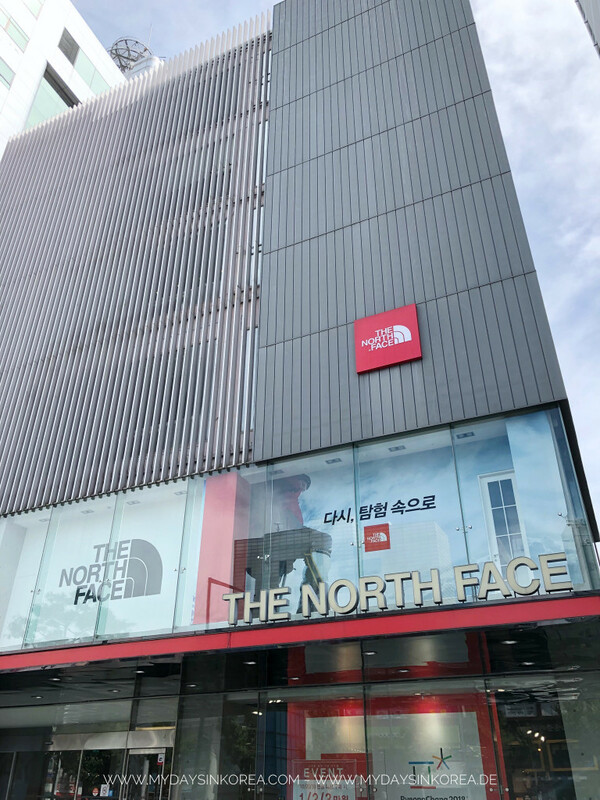 Yeah… And indeed, when I came there again with Ashley from Wandering Seoul, I’ve seen Kim Jain again after her golden medal at IFSC climbing world cup in Krani 2018. 😍 She is sooo impressive! Behind the rest area you will find a fitness room with a lot of equipment for further trainings. Lockers can be found in the fitness room as well as in the restroom area that is on the end of the 4th floor. There is a shower room too, next to the restroom. Inside, the lower area has air conditioning, which is good for belayers and boulderers but not really good for climbers, especially from 5m height. 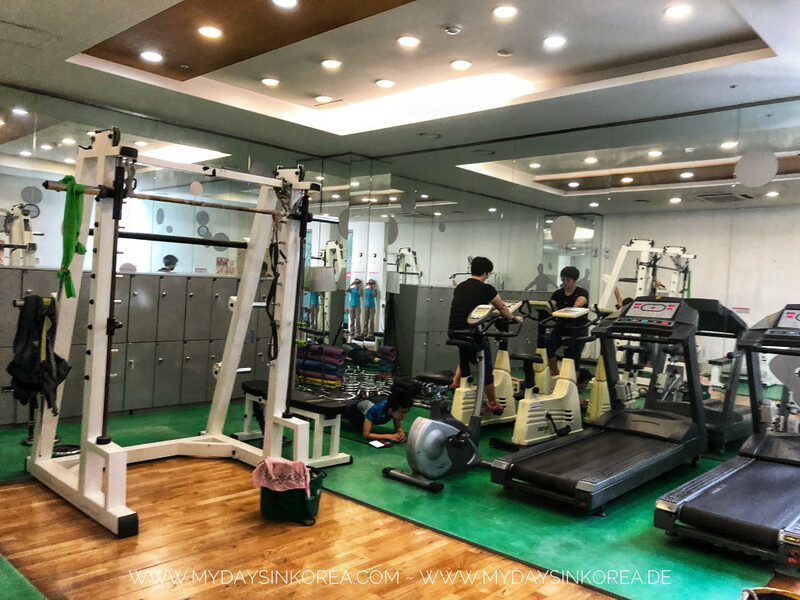 The gym is at least 7 years old now (based on the 1st entry of koreaontherocks). However, it’s still very clean and well maintained. How is the route setting? You can already see the bouldering and climbing walls from the reception through the glass door. There are two floors for bouldering, each is about 3.5~4m high. You can climb short or long fixed routes (with labels) or create your own routes using all available grips. All experts there made up their own routes and try out very crazy problems. The 13m high climbing wall stands right behind the boulder area. It features approx. 40 lead routes with quicklinks every meter, only 4 top rope routes, mostly used for courses. Lead routes are between 5.9 and 5.13a, which are not really suitable for beginners. I went climbing at the Dino Wall with a friend on a Sunday noon. Not so many climbers were there when we started, but more and more came afterwards. However, most of them seemed to be interested in bouldering. We had a lot of fun, to finally be able to climb on a high wall after some months only bouldering. For safety reason, during belaying my climbing mate, I also belay myself on an ankle. The staff saw it, then fixed more ankles only for us. Very thoughtful and kind! Some of the climbers were very good at climbing, but some didn’t really pay much attention on belaying. That’s why it was kind of scary for us to watch. 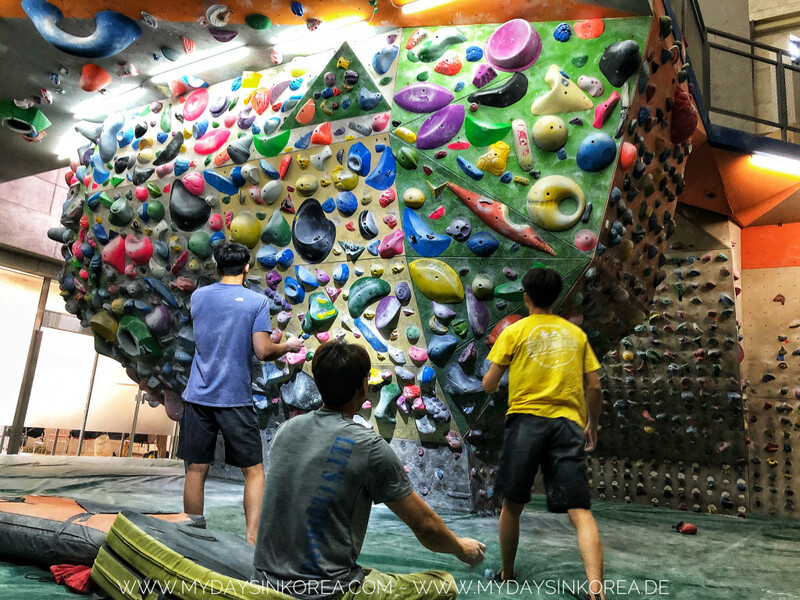 But in general, I am really happy to find an indoor climbing place in Seoul. Unfortunately there is currently no official homepage of the Dyno wall. 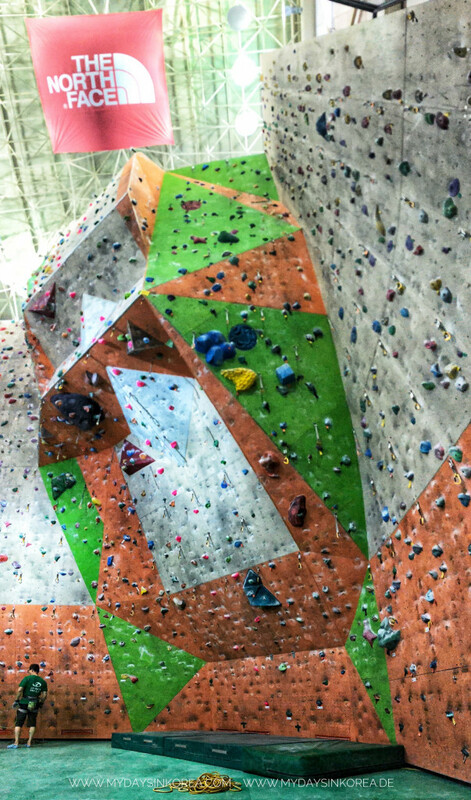 If you’re curious about other climbing gyms, please check this link. This post was updated on Jan 31st, 2019. 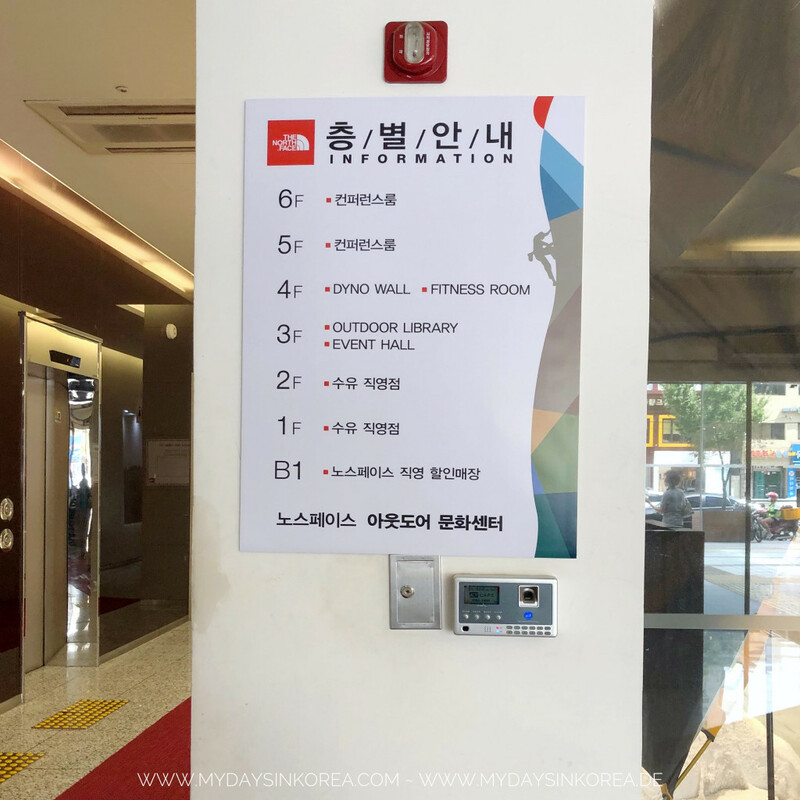 Thank you for posting the information about the gym! I hope to hear from you! thanks a lot for your comment. Very happy to hear that you like the post! And that’s awesome to know that you like climbing, too. And I’ll be more than happy to meet and go climbing with you. I also have some climbing friends in Seoul with whom I usually go. I can also introduce you with them. Can I reach you via the email address you entered? I’ll contact you for further climbing schedule 😘. Have a great holiday and talk to you soon! thanks for reminding me of one important point. Unfortunately both of them don’t have stuff for rent. You have to bring your own gear. 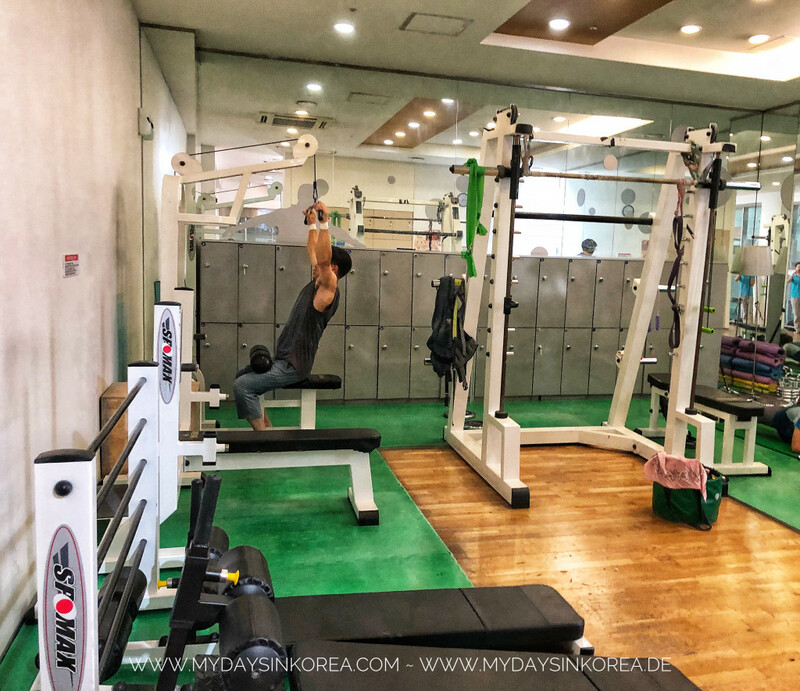 I’ve add some other good to know points in the K2 post (www.mydaysinkorea.com/2018/11/28/k2/). Hope this information helps.